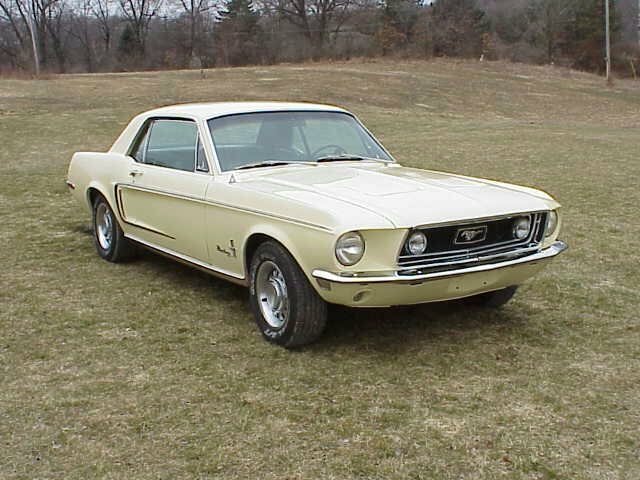 This is a page to hold the current status of my 1968 Ford Mustang that I have. I'll try and keep a current project status and pictures of it's assembly/disassembly up here. The shop that performed all the work done to the car is Christiana Muscle Cars, Inc. They perform all kind of Muscle Car Restorations, specializing in Mustangs. They are located in Wilmington, DE, not far away from Philadelphia, Pennsylvania, Baltimore, Maryland, New Jersey, and New York. Front suspension uses the "Shelby Drop" and an inch cut off of front spring. Rear suspension has rear drop springs. Tremec T-500 Manual Transmission, Hurst Shifter. 13in SSBC Performance Brakes with Slotted Rotors. Driver and passenger floorpan replacement. Oversized Radiator with Electric fan for cooling. Dual Flowmaster 50 series Mufflers. Pictures of the restoration in progress are here. If you have any questions about the car contact me.